It’s almost the end of February and I’m trying to become accustomed to not racing indoors this winter. I recently went as photographer to an event I’ve competed in for many years, and it was pretty difficult. Not just watching everyone else, and wanting to say to myself “I can do that”, but also wondering when the next time will be that I get my chance to prove it. I’ve got several other photographic commitments coming up, at events I’m usually also racing at, so for a few weeks, things won’t get easier in this respect. Elsewhere, there’s good news and not so good news. I’m feeling very fit and well – see more below – but my injured left foot is only showing slow signs of improvement. It’s a lot better than it was, say three months ago. I’ve done a little gentle running on it (and on the other one, of course) and this has been enough to convince me that there is still currently no way I could sprint on it without considerable pain, and setting back such recovery as I’ve achieved to date. One thing I am proud of, given that I’ve had a pretty bad time with depression this winter, too, is that I’ve got into, and pretty well stuck with, a solid training routine. When I was working for a living, training was often thrown in around evening meetings and stuff. I did the training, but almost always skimped on proper recovery afterwards. I seem to have got that sorted. My current routine is all gym-based, but I’m training there at a quiet time of day, when I have plenty of space, and getting good time afterwards to eat and relax. More than anything, I think it’s the routine that has been holding me together and the routine that is largely responsible for the progress I’ve made. But I’m not racing, so how do I know I’ve made progress? Well, every three weeks or so, I have a session I do which I regard as a benchmark. It’s never fun, because it requires ten tenths effort, but it has shown me I’m moving forwards. 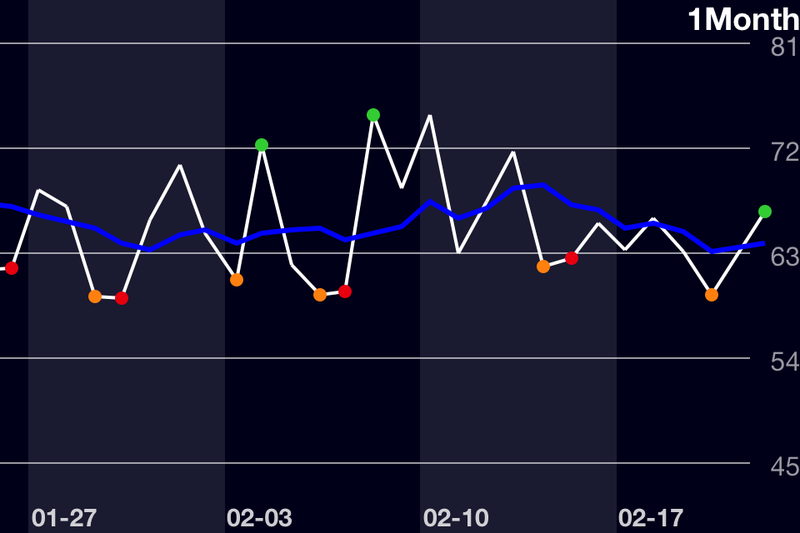 I’ve also been far less prone to the dreaded DOMS – delayed onset muscle soreness – this year. When it strikes, this usually hits me 24-36 hours after training, and can last until the next session is due. It’s seldom something you can “train your way out of”, so it can inhibit the subsequent session. Initially I worried I just wasn’t training hard enough in the first place, of course. The old tendency to beat myself up every session dies hard. I blogged about that stuff not long ago, of course. My other benchmarkers are digital aids. I’ve used the “ithlete” iPhone app for quite a while now. All it demands of me is one minute each morning, shortly after waking, to take a measurement of my heart-rate variability. Look on the website for the science around this. My figures from last spring and into the summer were very disappointing. By the time I left for my long stay in the Alps in the autumn, I was showing “ithlete” figures as low as ever I’d seen. While in Chamonix, and, of course, away from training and racing, things made a pretty major recovery. I’ve always believed that my “ithlete” figures are also a pretty good guide to my mental state. Thus, they rose in Chamonix as the pressure came off, and dipped when the inevitable “post holiday blues” crept up on me. However, despite some evidence of an up and down cycle through the winter, my overall graph from the system has risen to what I know to be at least very satisfactory levels. The other aid I use is also iPhone based and is made by the same people. 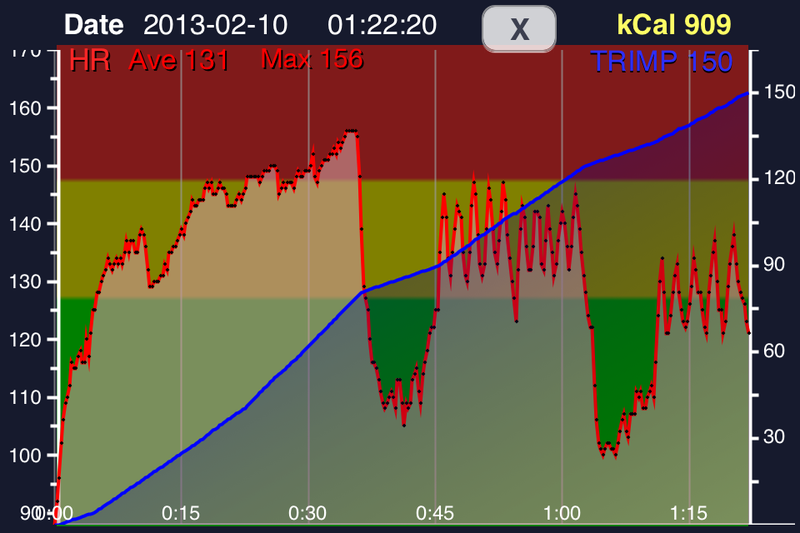 It’s called Precision Pulse, and it’s basically a very good heart rate monitoring app. It measures, and charts, heart rate, calories burned, progress towards anaerobic threshold and things like that, and can immediately display a work-out as a graph including a personalized “TRIMP” (Training IMPulse) setting, which is a recognized measure of training lead stress imposed on the body. The TRIMP figures will show me when I maybe thought I was working hard, though actually not, for example. I owe a lot to ithlete and Precision Pulse this winter. You are currently browsing the Blog from a Faster Master blog archives for February, 2013.